Slavery was eradicated in the United States nearly a century-and-a-half ago, but racial discrimination is still alive and well in some corners of our society. While it may be more subtle than it was fifty years ago, racial discrimination still impacts numerous California employees at their jobs. The San Francisco discrimination attorneys at our firm fight for civil rights in one of the places where it matters most – in the legal system. We are prepared to take on employers who discriminate against blacks, Latinos, Asians, Native Americans, and other workers. If you are a victim of racial discrimination or any other form of discrimination at the workplace, take the first step toward justice and discuss your case with our reputable San Francisco racial discrimination attorneys as quickly as possible. Our racial discrimination lawyers also represent clients in cases involving disability discrimination, pregnancy discrimination, gender discrimination, age discrimination, wrongful termination, sexual orientation discrimination, national origin discrimination, and sexual harassment. 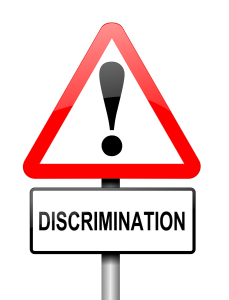 A discrimination lawsuit can positively affect people beyond the primary parties involved; a discrimination suit is sometimes the way to motivate a company to overhaul its discriminatory policies and practices and eliminate future discrimination cases. There is never a guarantee for any specific case, the damages that may be awarded in a racial discrimination case can include hiring or rehiring; promotion; back pay; attorney’s fees; emotional distress; and punitive damages or fines. The San Francisco racial discrimination attorneys with Geonetta & Frucht law firm, we have over fifty years of combined experience winning legal victories under Title 7 of the 1964 Civil Rights Act, California’s Fair Employment and Housing Act, and other state and federal laws that prohibit racial discrimination. Contact Geonetta & Frucht so you can learn about your legal rights and any options you have if you face racial discrimination at work. Our sexual harassment lawyers serve clients throughout northern California and in the San Francisco Bay Area. Retaliation against someone who has reported any type of discrimination is illegal. Never fear taking action against an employer. If you wish to discuss your case in further detail, contact us by phone at 415-433-4589 to arrange an appointment. We provide an initial consultation with a sexual harassment lawyer for free.